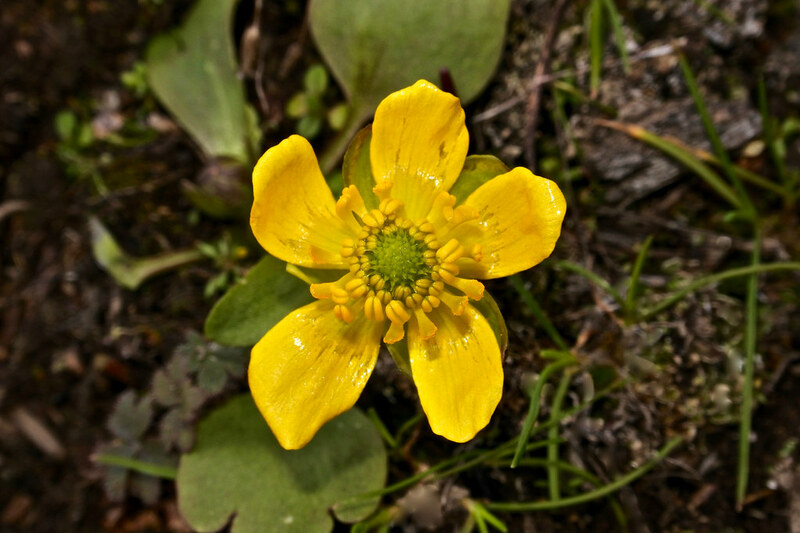 Warm weather and rain have finally melted much of the snow at the valley level in this area and at long last I was able to visit a place, which for some reason hosts the first Spring bloom of buttercups in this whole region. 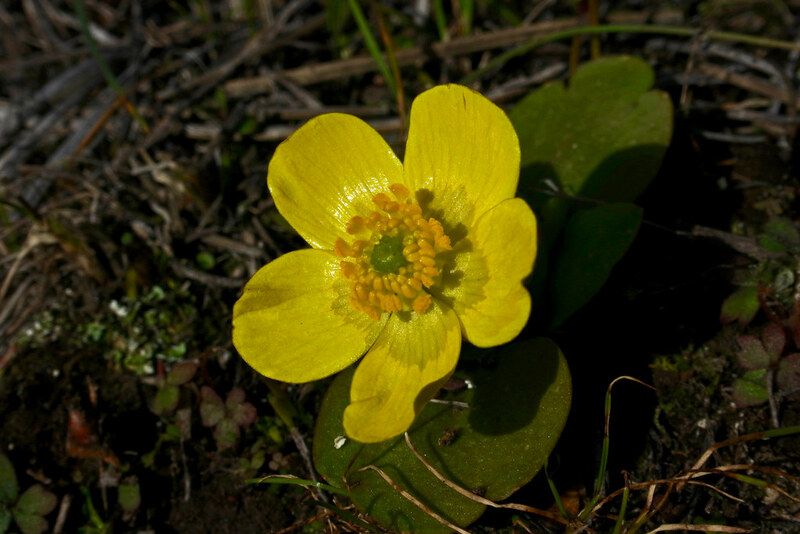 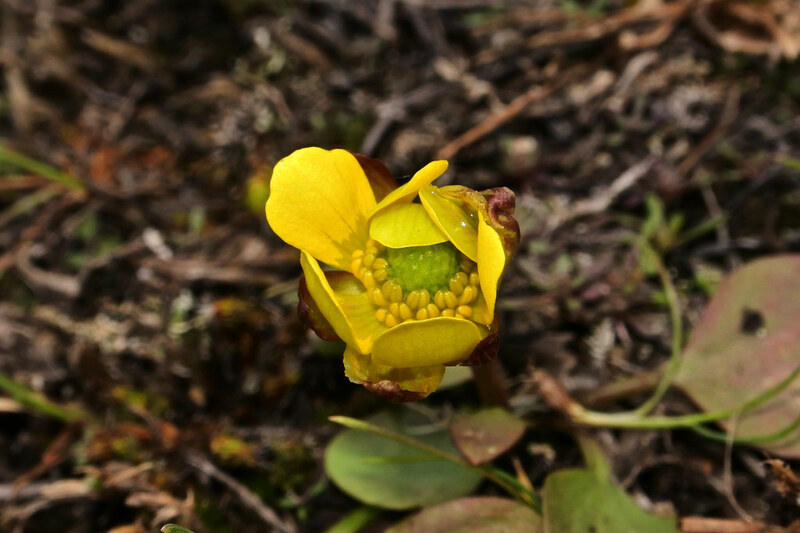 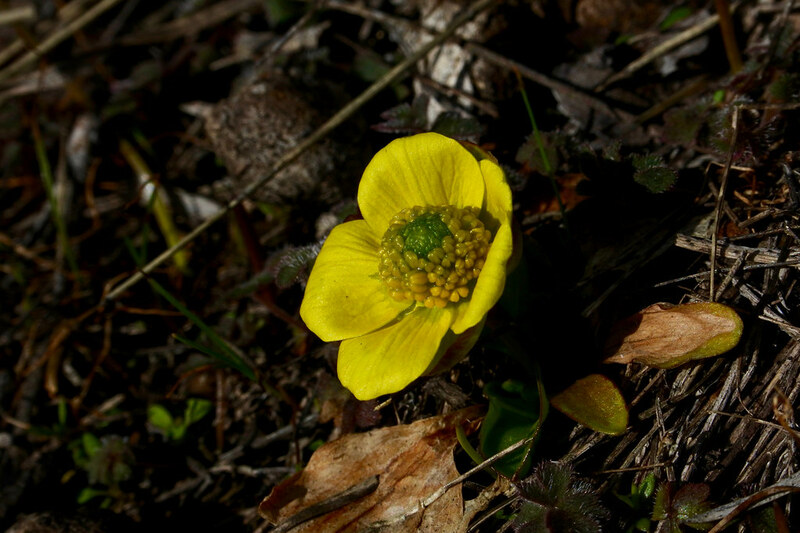 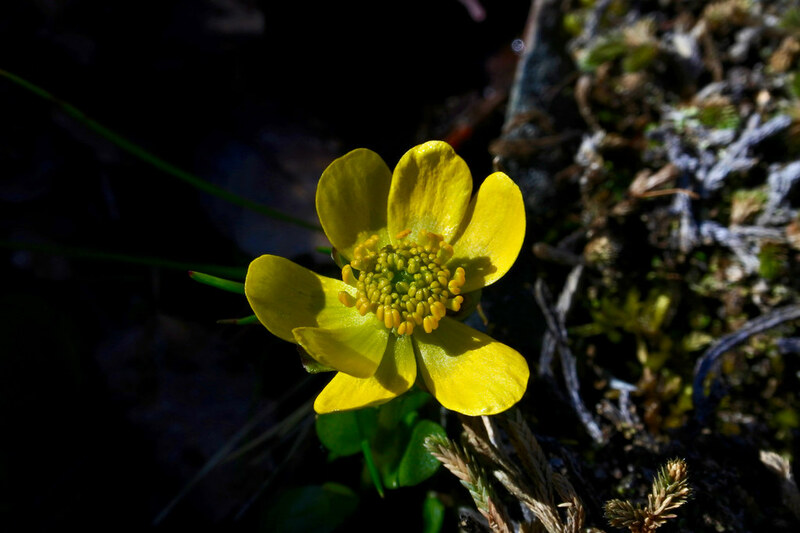 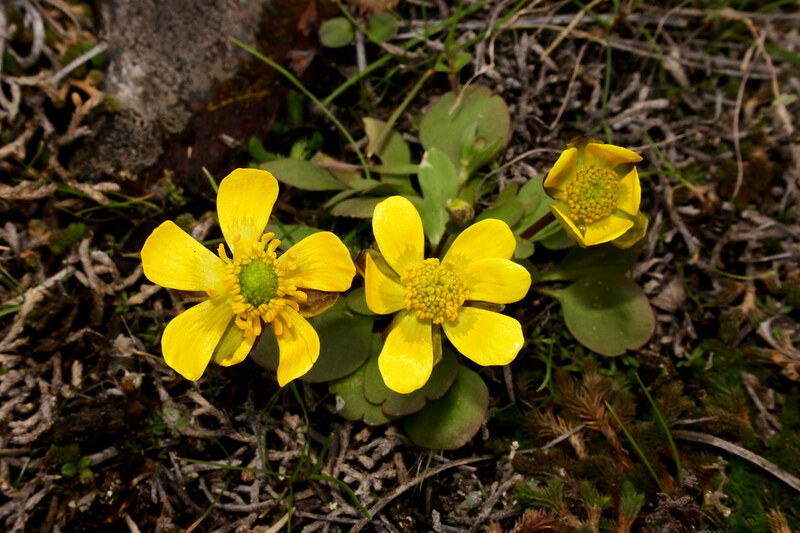 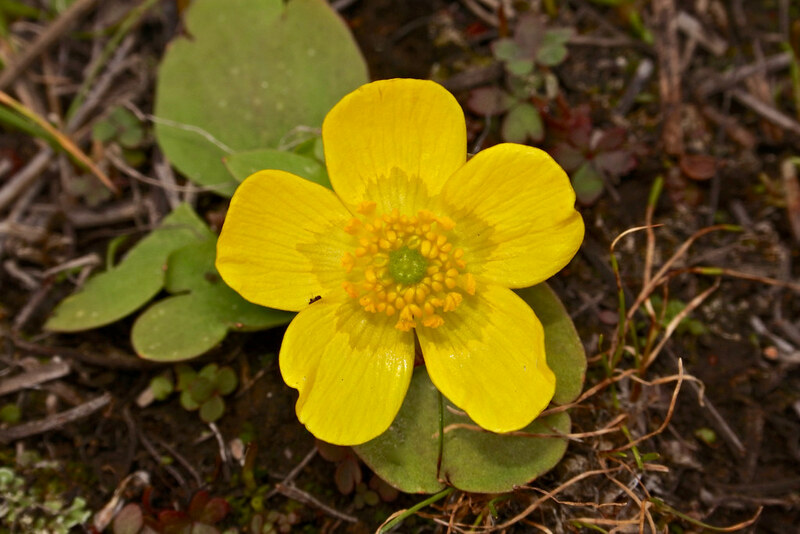 A week ago there was a foot of snow on the ground up there, but today hundreds of buttercups were in full bloom on the tiny top of “Buttercup Ridge”. 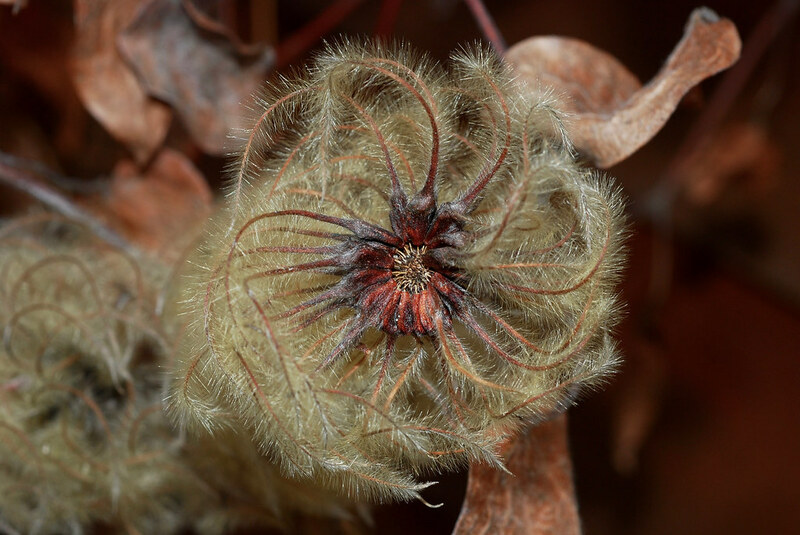 This seed head of a clematis flower that survived a very harsh winter is almost prettier than the flower itself was.